The strength of love. The power of human ingenuity. 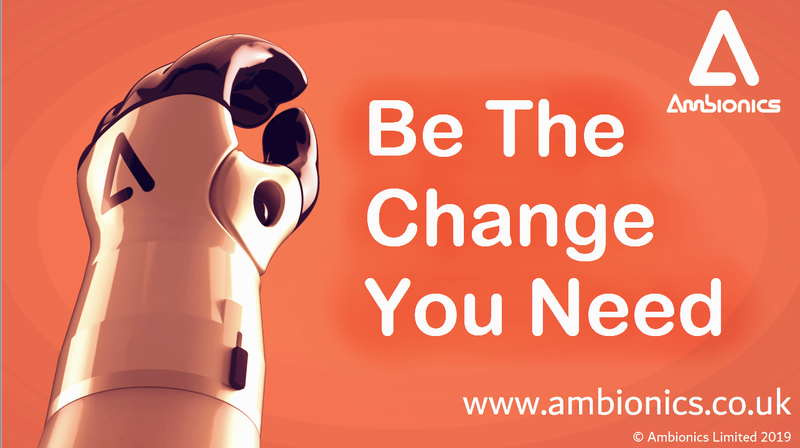 Discover the story behind Ambionics becoming a pioneer in children's prosthetics. "Ben is a very engaging, confident and motivating speaker. You can’t help but be inspired by his story and the humble, authentic way that he tells it." Join our global network of families, engineers and designers from $3/month to access exclusive Ambionics resources and tutorials. Contact us to discuss a research collaboration or to join our ever-growing research network. Alternatively, book Ben Ryan to appear at your university as a guest lecturer. Support Ambionics by purchasing from our collection of t-shirts, mugs and 3D print supplies.